We are the musicians of the Tucson Symphony Orchestra. 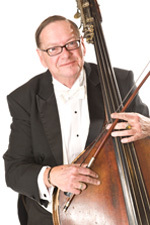 For the past 84 years, as members of Tucson's only professional symphony orchestra, we have worked to enhance the artistic and cultural landscape of Southern Arizona. We bring years of training and experience to our jobs with the TSO, and have come to Tucson from across America (and beyond) to be a part of our great city's orchestra. Our professionalism and dedication extends beyond our work with the Tucson Symphony, reaching into the community through extensive teaching and numerous solo and chamber music performances. Please explore this site to learn more about the musicians who make up the TSO, the issues that affect our lives, and the music we perform. Thank you for visiting! Please join us in welcoming the newest members of the Tucson Symphony: Joseph Muñoz (trombone), Adrienne Geisler (violin), Ikuko Kanda (violin), and Ian Jones (cello). Check out their bios on the orchestra roster page to learn more about them. 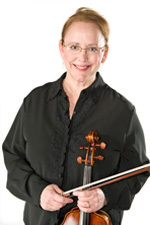 You may have also noticed some familiar faces in new positions this season: Sara Fraker is the new principal oboist of the TSO, and cellist Anne Gratz is acting principal for the 2011-2012 season. Congratulations to both of them!